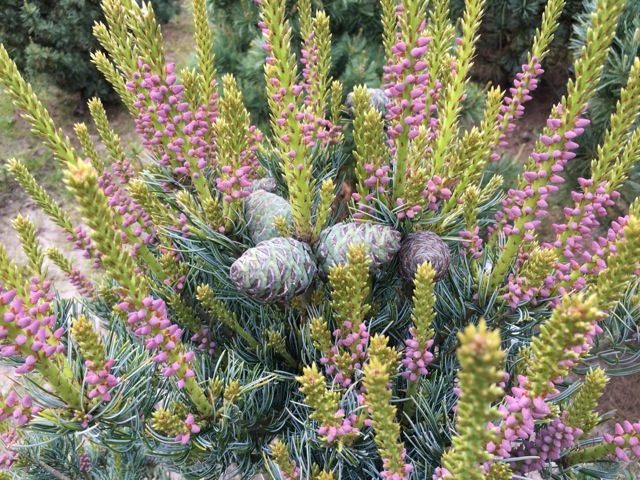 We offer hundreds of varieties of conifers, many of which sport pink or purple cones and serve a wide range of landscaping purposes. 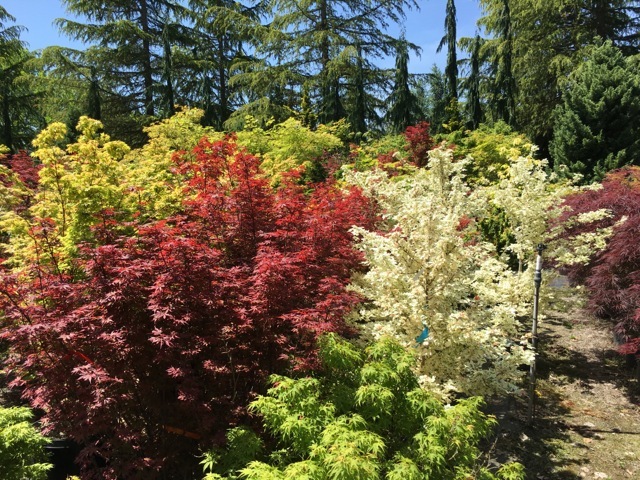 We offer an extensive selection of plants, including an assortment of high-quality ornamentals that come in multiple varieties, sizes, and price points. Our unique and fragrant foliage selection is used by plant enthusiasts, as well as people in the floral and décor industries for flower arrangements, weddings, special occasions, and holidays. 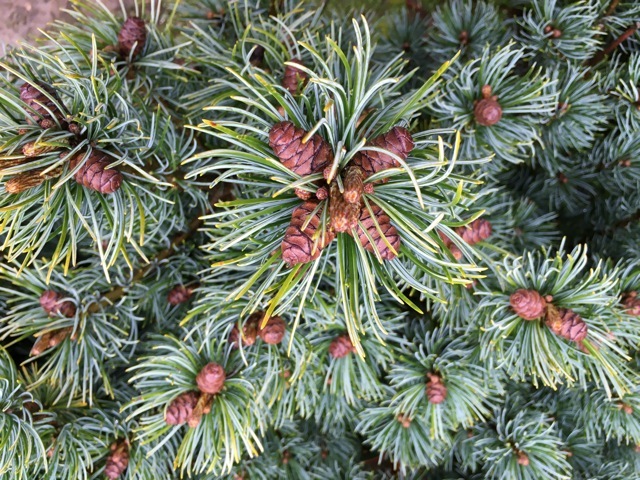 Peace of Mind Nursery is a proud grower of more than 600 varieties of conifers and ornamentals. We’re also purveyors of foliage for all uses. 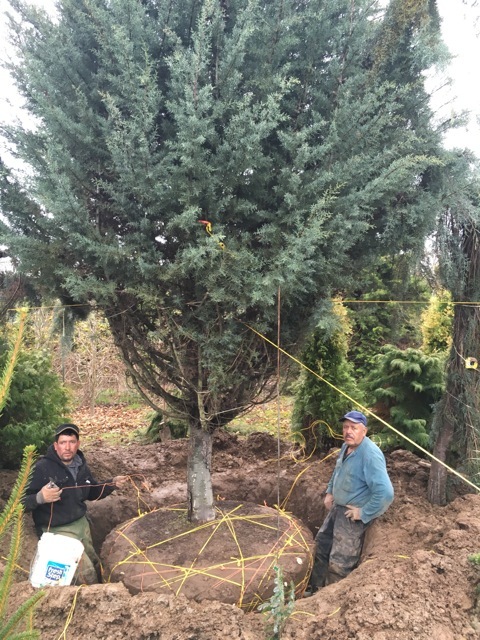 We cater to various customers across the United States, such as garden centers, landscape contractors, architects, estates, arboretums, municipalities, and local homeowners. 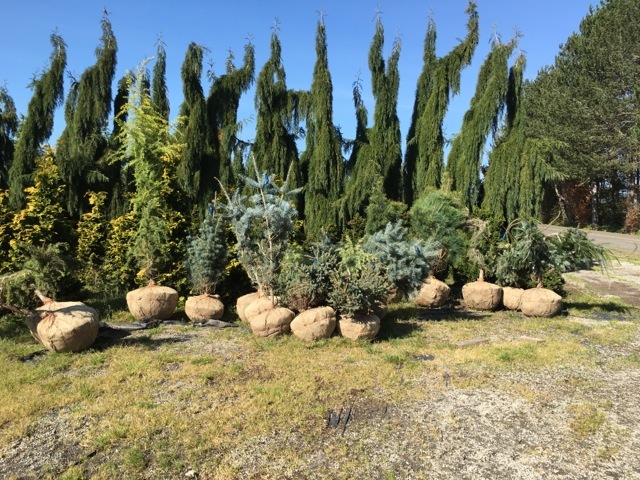 Peace of Mind Nursery is a one-stop shop—customers can purchase plants of any size, from 1 to 40 feet. 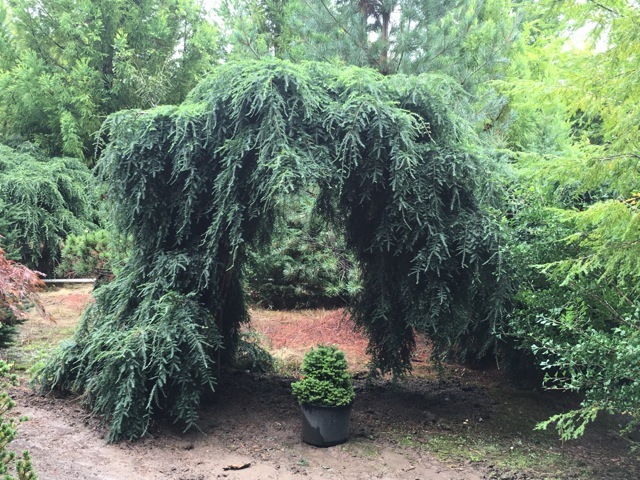 Additionally, we offer rare products that other plant and foliage suppliers can’t provide. We are devoted to making you successful. 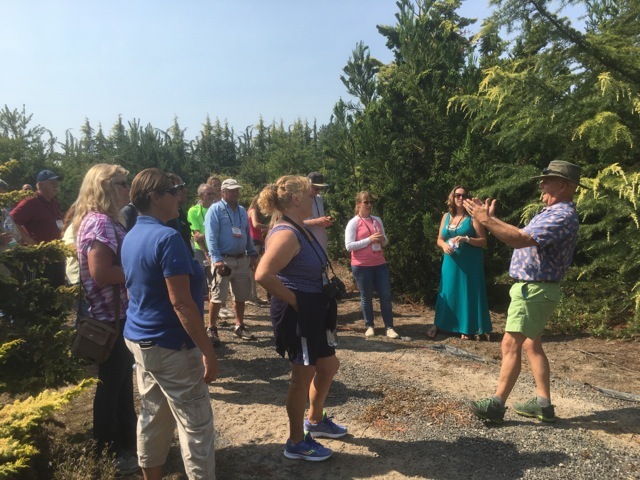 Peace of Mind Nursery was established in 1986 because of our passion for the most unusual conifers and ornamentals. 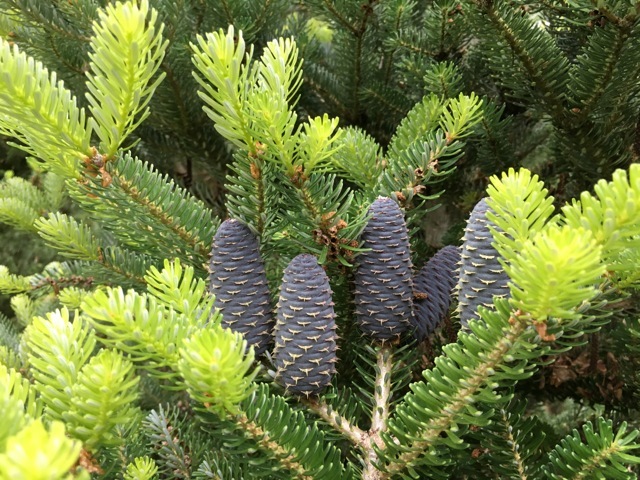 We were featured in the Oregon Association of Nurseries’ State of Perfection issue because of our incredibly unique high-quality ornamentals. Also, our owner holds a Natural Resources Management degree from Ohio State and an MBA from University of Portland. We are located at 10772 Selah Springs Road, NE Silverton, OR 97381. Our secondary location is at 30670 SW Peach Cove Road, West Linn, OR 97068. Come visit us today! 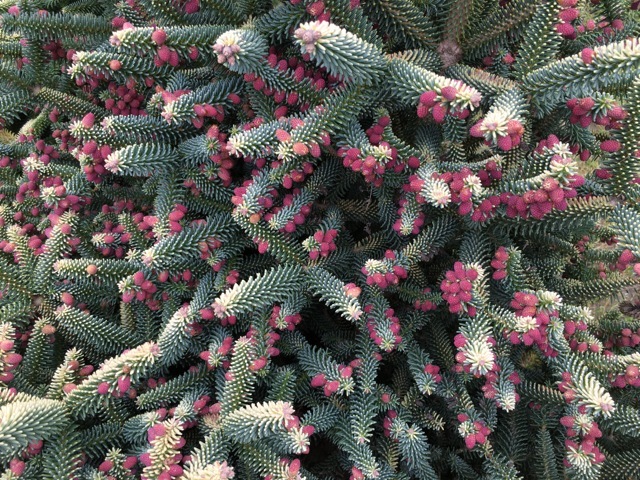 Florists, garden centers, and homeowners rely on us for a selection of fanciful foliage. 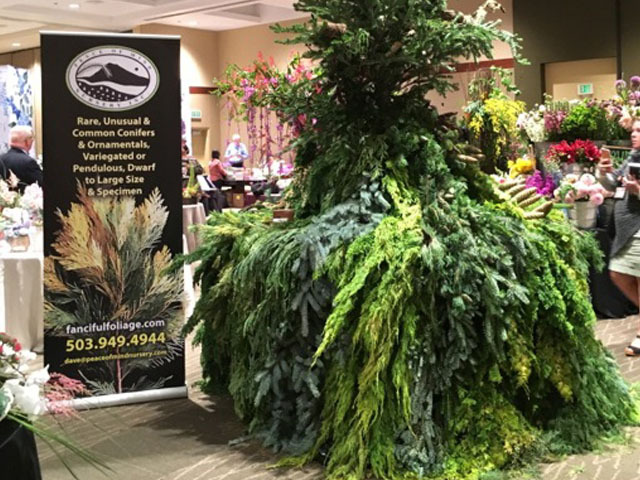 We sell our rare cuttings, which are used to enhance garnishments, wreaths, door swag, and displays for special occasions. 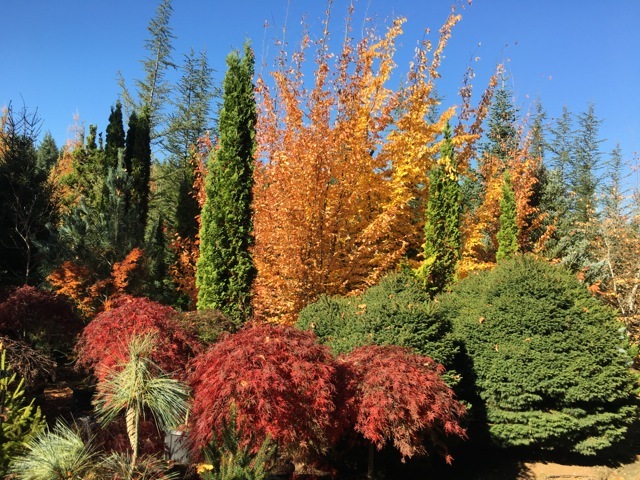 You can expect a lot of variety as our foliage selection changes with the seasons. We’ll help you choose the right foliage for your flowers. You can find different colors, textures, and fragrances that most customers didn’t even know existed. In addition, our foliage is known for its longevity. It can last for several months. On behalf of IFDA, I want to thank you for sponsoring our next meeting’s workshop on ‘Winter Greens.’ Your product looks fabulous, and we really appreciate the photos. Your sponsorship really helps us out, and we hope it brings new business to you from our members as well. Thanks so much for the greens you sent— they were wonderful, and I have some good pictures to share with you. “Beautiful! I am going to want a wild bunch this year, and maybe more—working on things and making a plan. Yes, this is an official order. If you could invoice each store separately, that would be best. Everything can be delivered to our store with copies of invoices or email invoices to each store, whichever works best for you. I can get you Macadam's and Burnside's info. Let me know how you would like to handle it.